The 5-chip Gridseed GC3355-based ASIC devices that support Dual Mining for Bitcoin and Litecoin are not that easy to be used in the Dual Mode, because you need to have two different software miners running at the same time. 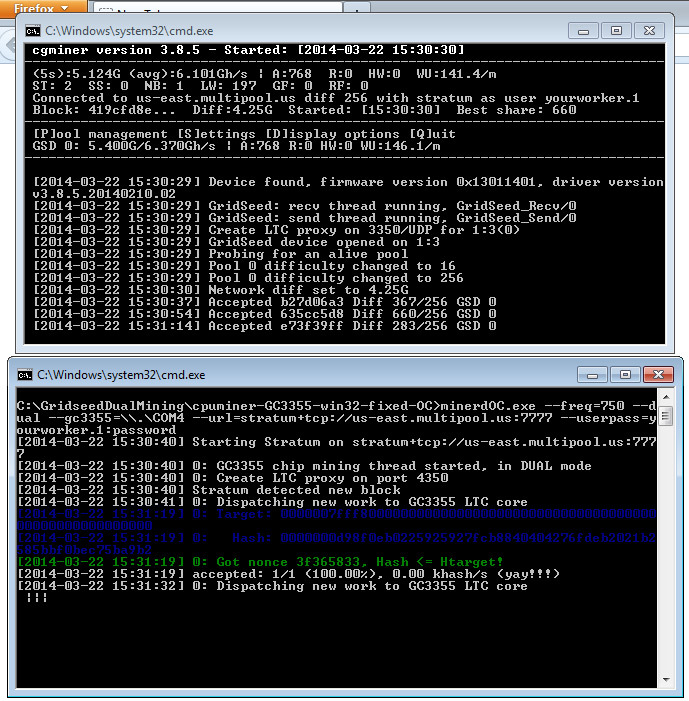 There is a bit of specifics in what and how you need to do in order to mine both BTC and LTC at the same time and after a bit of tinkering we have managed to finally make things work as they should under Windows. 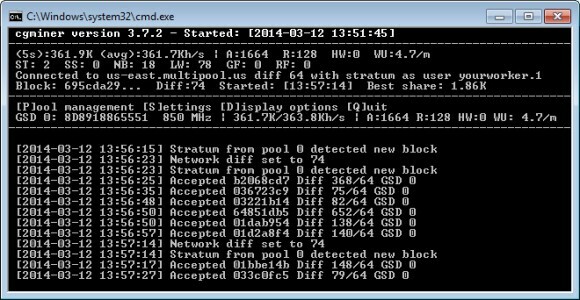 You need to download a special modified version of cpuminer for Scrypt (LTC) mining and a modified version of cgminer for SHA-256 (BTC) mining. 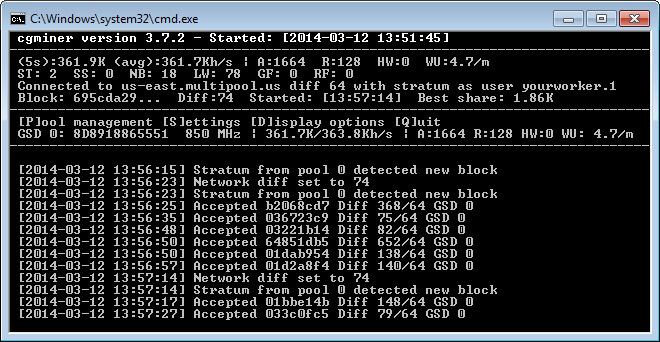 We have compiled the two software miners and you will find the download links below. You will also need the Zadig software in order to replace the virtual USB to COM driver with WinUSB driver for the cgminer to detect and work with the BTC mining side of the ASICs. 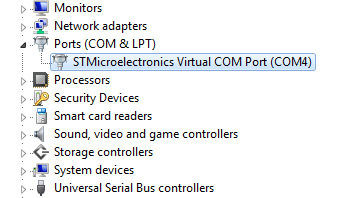 It seems that there are some ASIC devices that may be using different virtual USB to COM drivers other than the CP2102 that our unit has (for example ST32 Virtual COM Port), unfortunately we don’t have any of those to test with. You can however try to make things work by replacing the other driver with WinUSB, just select the right name from the dropdown box (do not try to rename drivers, it is pointless) and Replace it with WinUSB (you may need to unplug and plug the USB cable to the miner after that). 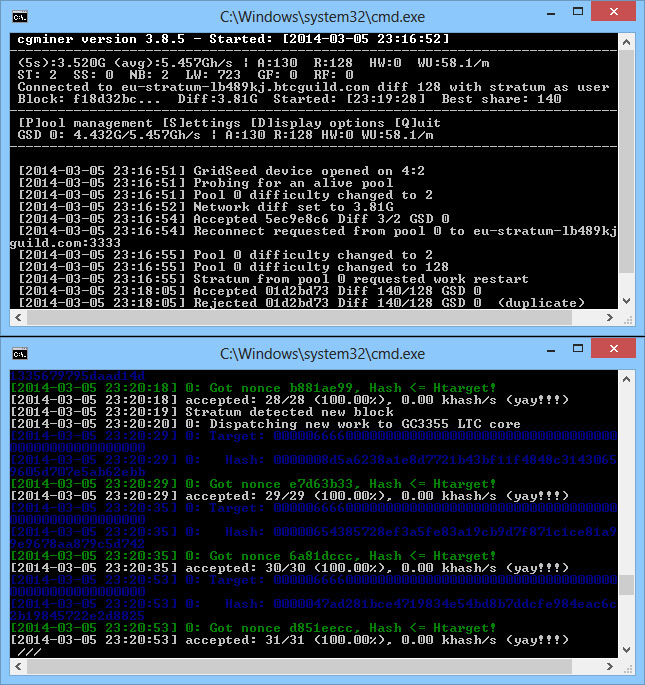 If after installing the WinUSB driver over the virtual USB to COM driver the ASIC does not work with cgminer, you just need to uninstall the driver from the Device Manager and unplug/plug the USB cable to the device for it to install the original USB to COM driver and it should be functioning again with cpuminer (note that this way you may have it running on a new COM port). This is it, you should have the miner running both SHA-256 (BTC) and Scrypt (LTC) mining withe the two software miners and the total power consumption should be about 60W. Note that you may need to lower the operating frequencies a bit for when mining the Dual BTC/LTC mode as the chips get hotter. 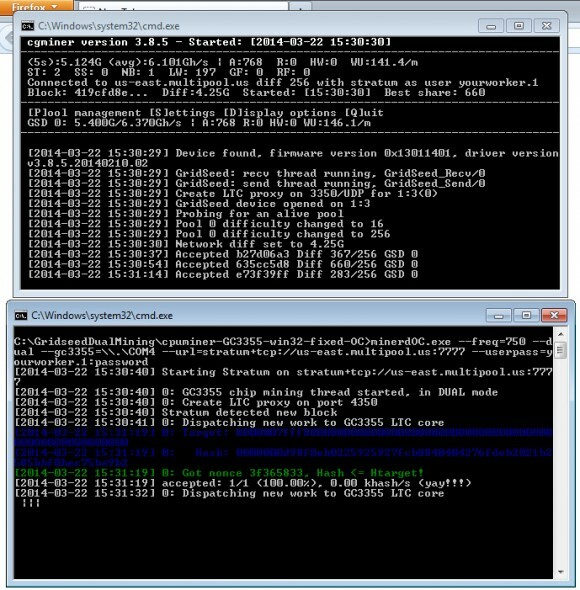 If you want to mine only BTC you can stick only with running the modified cgminer, for LTC only you need the modified cpuminer without the dual option in the command line. The most attractive aspect of the Gridseed 5-chip GC3355 ASIC however remains their very low power consumption for Scrypt mining only mode, so think again if you really wan to run them in the Dual Mining more or for BTC only and not in LTC only mining mode instead.